Performance improvements in rendering buttons and instant previews. Addressed issues related to activating Vizit with license keys starting with VIZXP. Addressed issues in Vizit working with document names with Unicode characters. Fixed the error message shown when attempting to comment on a file that is in a checked out state. 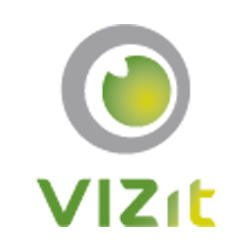 Addressed issues with Vizit when Office Web Apps are installed. Addressed issues with Vizit rendering in Media Libraries. Addressed issues in the Offline Activation process for licensing. Addressed issues with keyboard shortcuts in Pro when Property Editor is in focus. Fixed an issue where documents would not display properly in Pro in IE7. Fixed an issue that would cause an error on the licensing page when upgrading from a licensed, pre-4.0 version of Vizit. Vizit Essential no longer opens when clicking links in search results. Vizit Essential and buttons no longer render when the SharePoint page is in edit mode. Document Explorer in Vizit Pro now updates after a split or merge occurs. Fixed an issue where the Pro button would be rendered behind Instant Previews in IE7, making them appear to be missing. SX comments and replies are posted to NewsGator Activity Feed when Newsgator is available. Links to Vizit using our Shortened URLs now open in the on-page Essential window. Works on pages where Vizit is available. Links to Vizit External now open in the on-page Essential window. Works on pages where Vizit is available. Added the ability to quickly copy a link to a particular SX thread. Enhanced rendering of MSG emails. Addressed issues with paging, line-breaks, Unicode characters, and other formatting issues in MSG emails. Improved support for CSV file format. Added support for TXT file format. Fixed issues surrounding foreign languages in MSG emails. Fixed an issue which caused Vizit buttons and Instant Previews to appear next to Wiki Pages in a Wiki Library. Fixed an issue which caused Vizit buttons and Instant Previews to appear next to the Type column Header when a View was configured to group by Type.